The EGI Conference 2015 will be held in Lisbon, Portugal between 18-22 May, 2015. The event will be hosted by EGI.eu and IBERGRID (a partnership between the Portuguese National Distributed Computing Infrastructure (INCD) and the Spanish National Grid Initiative). The EGI Conference 2015 will be dedicated to the theme: Engaging the Research Community towards an Open Science Commons. 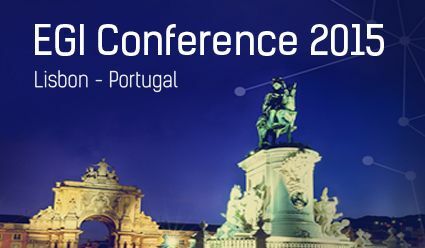 The event will bring together ICT experts from research communities, HTC and cloud specialists, identity and access management experts, representatives of the major European Research Infrastructures and cyber-infrastructure managers, worldwide sister institutions, international project PIs as well as industry representatives and policy makers. 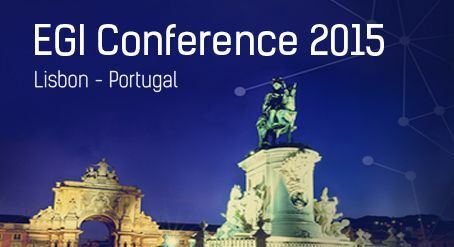 The EGI Conference 2015 will present participants with a unique overview of the status of the art of the EGI solutions and the latest developments in research infrastructure and cyber-infrastructures. The event will also showcase a number of international projects that will drive innovation and technological development of distributed high throughput computing and cloud service provisioning for the European Research Area. The conference programme is structured around five themes, designed to maximise interaction between Research Infrastructures, user communities and EGI's pool of technical experts. Technology and user requirements covering federated cloud IaaS technologies, HTC and cloud PaaS, AAI and technologies for open data sharing and reuse, federated accelerated computing, solutions for federated service management. Data covering licensing issues, policies for data sharing and reuse, data accounting, technologies for scalable access and emerging business models fostering the data value chain. New platforms addressing the new technologies, tools and infrastructures that will benefit Open Science in Europe and world wide: e-Learning, social text mining and citizen science, services for the long tail of science. Open Science Commons presenting and discussing a new vision for sharing and governing advanced digital services, scientific instruments, data, knowledge and expertise that enables researchers to collaborate more easily and be more productive. Business Engagement presenting how cyberinfrastructures can offer software, compute, data and knowledge as a service to Industry and SMEs and innovate with them. The conference programme provides a session held by EU Project Civic Epistemologies under the title "Platforms for Citizen Science", scheduled on 19 May at 03.30 pm. View the article we published for announcing this session.